Full system installation, maintenance and repair services; replacement recommendations and thermostat and zone control system installation services for all major types of air conditioners. 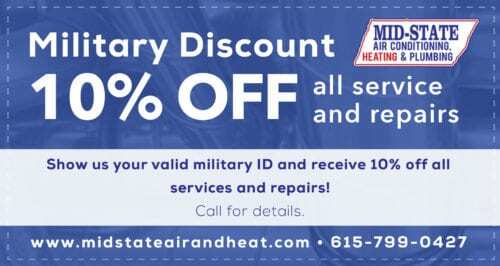 Heating system installation and replacement including major gas and electric furnaces and heat pumps. We also offer comprehensive maintenance services and emergency repairs. Professional plumbing services ranging from kitchen and bathroom plumbing, sump pumps, automatic shutoff valves, water heaters and a variety of drain and piping services. Installation of new filtration systems, humidity control systems, UV germicidal lights and sealing services. Ongoing maintenance is available for all brands of air quality systems. 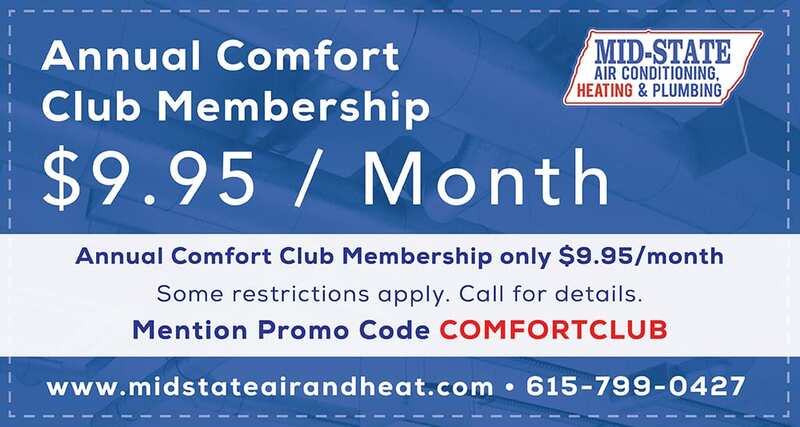 Precision tune ups are available for all types of HVAC systems and we also offer comfort club memberships for ongoing, annual maintenance service on all of your systems. 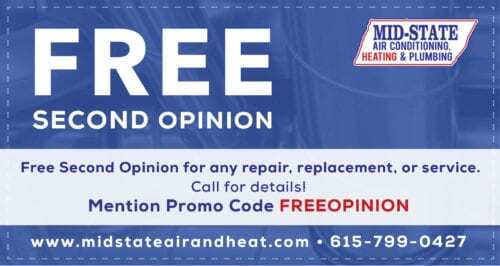 Since 1970, when Bob Clark founded Mid–State Air Conditioning, Heating & Plumbing, we have been providing expert service to homeowners throughout the Nashville, TN region. 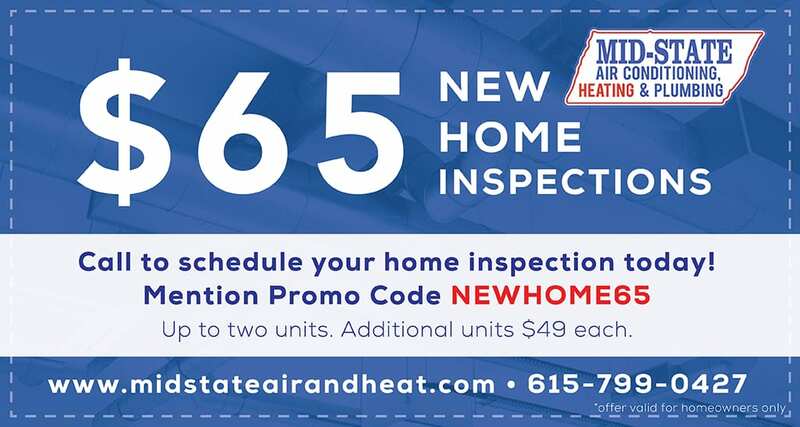 In that time, we have developed a reputation for excellence in every project we take on – from installing a new heating or air conditioning system to ongoing maintenance for your entire HVAC system. Currently in our second generation of operation, we are a family–owned company, run by Robert and Lisa Clark, with more than 40 years of experience in the business. What that means is an exceptionally high level of expertise in every project we undertake, ensuring that every technician hired is among the best in the region and is thoroughly screened with a national background check and regular drug testing. When you call us for plumbing or HVAC services, you are getting one of the most trusted companies in the region. We can handle all of your residential heating and cooling needs. Call one of our friendly staff members today to learn more about all of our installation, maintenance and repair services. Troubleshot a frozen unit. Very professional, showed me what the problem was, answered all my geek questions, and gave me my options with no pressure to do one thing over another. Very pleased with this company!